^ 1.0 1.1 The Nobel Prize in Physics 1904. 诺贝尔基金会. [2008年12月18日] （英语）. 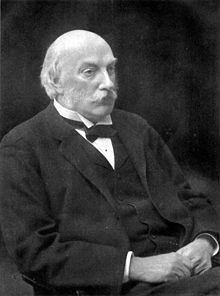 ^ 2.0 2.1 2.2 2.3 2.4 Lord Rayleigh - Biography. 诺贝尔基金会. [2008年12月18日] （英语）. ^ 瑞利. physica.cn. [2008年12月18日]. （原始内容存档于2011年2月21日）. ^ （英文） Lord Rayleigh; William Ramsay. Argon, a New Constituent of the Atmosphere. Proceedings of the Royal Society of London. 1894–1895, 57 (1): 265–287. doi:10.1098/rspl.1894.0149. ^ Royal archive winners Prior to 1900. 皇家学会. [2008年12月18日] （英语）. ^ Matteucci Medal. 意大利科学院. [2008年12月18日]. （原始内容存档于2008年4月1日） （英语）. ^ Copley archive winners 1899 - 1800. 皇家学会. [2008年12月18日] （英语）. ^ Rumford archive winners 1988 - 1900. 皇家学会. [2008年12月18日] （英语）. ^ 22740 Rayleigh (1998 SX146). NASA. [2008年12月18日] （英语）.